Cuba–Russia relations (Russian: Российско-кубинские отношения, Spanish: Relaciones Ruso-Cubanas) reflect the political, economic and cultural exchanges between Cuba and Russia. These countries have had close cooperation since the days of the Soviet Union. Russia has an embassy in Havana and a consulate-general in Santiago de Cuba. Cuba has an embassy in Moscow and an honorary consulate in Saint Petersburg. Around 55,000 people of Russian descent live in Cuba. A 2016 survey shows that 67% of Cubans have a favorable view of Russia, with 8% expressing an unfavorable view. Since the fall of the Soviet Union in 1991, Cuba and Russia have maintained their diplomatic relations. After Vladimir Putin came to power in 2000, relations between both countries increased. In December 2000, Putin visited Cuba and he along with Fidel Castro called for the lifting of the embargo on Cuba. Russia is still Cuba's leading creditor and the two countries maintain close economic ties with each other. Cuba strongly supported Russia's position in the 2008 South Ossetian war. In the fall of 2008 Cuba and Russia increased joint cooperation with each other in the field of economics. Russian deputy Prime Minister Igor Sechin visited Cuba several times in 2008 in order to increase economic and political ties. Russia was the first country to provide aid to Cuba after three hurricanes devastated the country in the fall of 2008. The assistance provided by Russia included four planes of food, medical supplies and construction supplies. In November 2008, Russian President Dmitry Medvedev visited Cuba to strengthen economic ties and to allow Russian companies to drill for oil offshore in Cuban waters, and to allow Russian mining companies to mine nickel in Cuba. Raul Castro traveled for a week-long visit to Moscow from January 28, 2009 to February 4, 2009. The talks included $20 million worth of credit to Havana, and 25,000 tons of grain as humanitarian aid to Cuba. In July 2009 Russia began oil exploration in the Gulf of Mexico after signing a deal with Cuba. Under the new agreement, Russia has also granted a loan of $150m to buy construction and agricultural equipment. In 2013, Medvedev again visited Cuba in which he signed agreements on education, health, hydrometeorology, aeronautics and space technology. In July 2014, Vladimir Putin also visited Cuba, where he touted a decision to wipe clean 90 percent of the island's $35 billion debt to Moscow and announced deals to invest in Cuba's offshore oil industry. 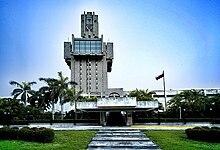 ^ "A Rare Look Inside Cuban Society: A New Survey of Cuban Public Opinion" (PDF). NORC. July 23, 2018. ^ "Medvedev in Cuba to improve ties". BBC News. 28 November 2008. Retrieved 14 September 2009. ^ Cuba and Russia strengthen ties as Raúl Castro visits Moscow New York Times, 30 January 2009. ^ "Russia to drill for oil off Cuba". BBC News. 29 July 2009. Retrieved 14 September 2009. ^ "Medvedev's tour enhances Russia's presence in Latin America". Global Times. Xinhua. 24 February 2013. Retrieved 24 February 2013. ^ Orsi, Peter (11 July 2014). "Putin kicks off Latin America tour with Cuba stop". Associated Press. The Big Story. Archived from the original on 27 July 2014. Retrieved 22 July 2014. "The Return of the Bear? Russian Military Engagement in Latin America: The Case of Brazil". Military Review. Dall'Agnol, A. C.; Zabolotsky, B. P.; Mielnieczuk, F. (2018). Wikimedia Commons has media related to Relations of Cuba and Russia. This page was last edited on 17 April 2019, at 01:26 (UTC).